Check out photos from this years event! 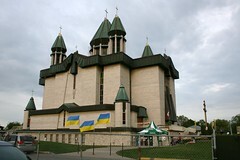 A reader sent in that this year’s Yarmarok at St. Mary’s Dormition Ukrainian Catholic Church in Mississauga, ON will be happening on November 14th and 15th. More details to come. You can view pictures from last year’s event.